The one silver lining to getting arrested is that it doesn’t necessarily mean getting left behind bars. Even with more serious crimes, such as driving under the influence of a substance, you may find it possible to secure a bail bond for DUI charges. Securing bail for a DUI or DWI arrest isn’t always possible, and you might find yourself in a position where you won’t get to leave until your trial. However, the good news is that there isn’t a separate bond type for DUI charges, making the process somewhat straightforward. Sometimes, you may get the opportunity to post bail as soon as you get finished with the booking process. More often than not, however, you’re going to need to wait to see a judge, which could take up to 72 hours. 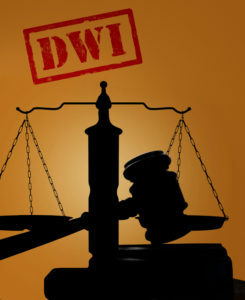 However, not everyone facing DWI arrests find themselves eligible for bail in the first place. If you caused collision damage to other people’s vehicles or property or you are a repeat offender, a judge might deem you too risky to release. If, on the other hand, your breathalyzer test levels were relatively low, and you didn’t cause any significant trouble, you may find that your bail remains affordable or even waived. In these instances, you have a better chance of pleading your case, as it may have been an isolated event. Your bail amount can vary wildly from those of similar charges. Often, it’s whether you have a criminal history that will ultimately determine what you owe. Minor offenses committed barely over the legal limit, or those who caused little trouble during arrest may get off easier. You might receive a bail amount of a few hundred dollars, or it could get waived altogether. However, for others, it quickly gets set into the thousands of dollars, leading many inmates to secure a bail bond for DUI charges. While that means an agency is posting for you, it’s still money you need to come up with for payment. Bail bonds are similar to loans, and you will pay a principal amount for funding now. While some states restrict what consumers will pay, other bail bond providers aren’t as affordable. Before accepting a bond, ensure you can make the payments. Otherwise, you’ll be back in court sooner than you thought.